Could your computer be at risk? It seems as if a new computer virus is being unleashed on a daily basis. Many of them are hoaxes, or can be isolated and avoided. However, there is a new “ransomware” virus making the rounds that is serious business. It is called “CryptoLocker” and it hijacks your data files, encrypts them so that you lose access to your own files, and then demands a ransom payment. And it is working, evading many anti-virus programs. The CryptoLocker virus can enter your system through an e-mail attachment, through a visit to an infected website, or by downloading a seemingly innocent driver program that contains the virus. CryptoLocker attaches itself to a long and comprehensive list of target files, including text documents, spreadsheets, image files, PowerPoints, and more. It automatically encrypts the files, preventing you from opening them. You may see a red banner on your screen announcing that your files have been locked up, or you may simply not be able to open files because your computer no longer recognizes the file format or file extension. Next you’ll receive an e-mail demanding that you send money to an e-mail address in order to receive the key to unlock your data. Victims who have complied with the ransom demands report that their files were, indeed, released. However, there is a big risk in paying the ransom. Do not use a personal or corporate credit card! Instead, use a prepaid debit card to avoid having your credit data stolen. The best way to avoid the CryptoLocker virus is to be vigilant about downloading and opening files from the Internet or sent as e-mail attachments. 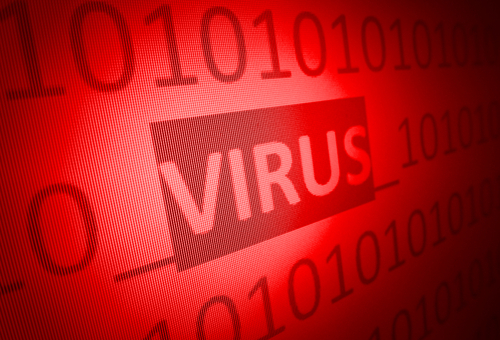 If you do fall victim to the virus, your best defense is to restore your files from a backup. This makes it more important than ever to have your files backed up and secured on a regular basis.